Superdry women's Real Originals satin college crop hoodie. A twist on the classic overhead hoodie, featuring a crossover drawstring adjustable hood, ribbed cuffs and a distressed unfinished hem. 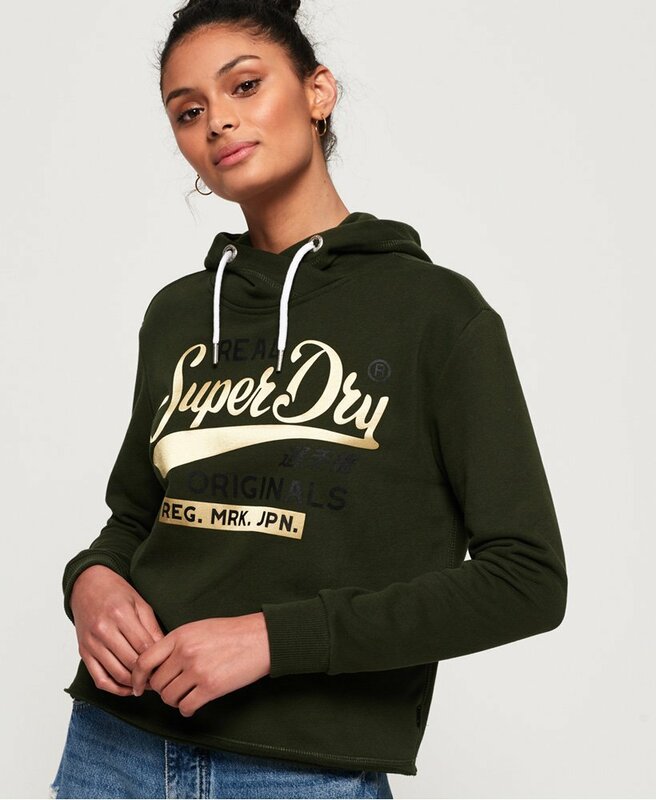 This hoodie also features a Superdry logo graphic across the chest in a satin effect and is finished with a Superdry logo tab in the side seam. Style with joggers or high waisted jeans for a casual but stylish look.